MotionSource provides LUBE Corp accessories for your LUBE Corp oil, grease and LHL automated lubrication systems. Unlike anyone in the industry, each LUBE USA item is tested before it leaves the factory giving you the peace of mind that your satisfaction and productivity is our highest goal. 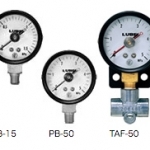 Quality engineered, reliable and durable, LUBE USA accessories are used on OEM machines and equipment worldwide. MotionSource is your Source for quality LUBE USA accessories. LUBE USA accessories from MotionSource are the most technically advanced fixtures for your application. In-Line & return filters, oil level switches, Ludo sensors and pressure sensors are all in stock and ready to ship. Crafted with the quality you’ve come to expect from LUBE USA, these accessories are remarkably economical for the technology involved. Grease vacuum cleaners clean your equipment of excess grease, driven by air. With compact portable models available, these reduce your consumption of shop towels and help promote a green environment. Grease filler pumps and hand grease guns from LUBE USA are made with the same attention to detail as their pumps. Experience the difference in value and cost with genuine LUBE USA accessories from MotionSource. Call us at 888-963-6686, email us at Sales@MotionSource1.com or simply complete the quick quote form to your right and click submit. We’re here to answer the questions re-sellers can’t. See the difference in working with a genuine LUBE USA distributor and partner, MotionSource. MotionSource is a LUBE USA partner with trained technicians and engineers to ensure your equipment receives the correct lubrication when it needs it and the correct LUBE Corp accessories. Using genuine LUBE USA accessories adds years to your equipment and increases your ROI with longer production life. As a LUBE USA premier partner, we are required to stay current on the up-to-date technology that LUBE USA adds to their product line. We are not a re-seller. Re-sellers do not receive training and generally do not have an engineering team. When you purchase from a re-seller you’re purchasing from a middle man increasing your cost and possibly not getting the best solution for your job. For your LUBE USA accessories, MotionSource offers stocking programs ensuring your products are available when you need them. See the difference between a premier partner and a LUBE USA premier partner. 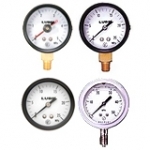 Need help with service or installation of your LUBE USA pressure sensors, regulators or filters? MotionSource has a 24/7 full-service team ready to help with what you need, when you need it. Our service technicians are professionally trained and certified to help with your pump needs.